Not only did the Rhode Island Trials Club do the tech inspection (see blog post), but a subgroup of them were the backbone of the emergency medical services for the event. Left: I witnessed a bad crash by a Youth Class rider on Section 9 on Sunday. Had he landed on his back or tailbone, it would’ve been very serious and the medical team would’ve sprung into action. 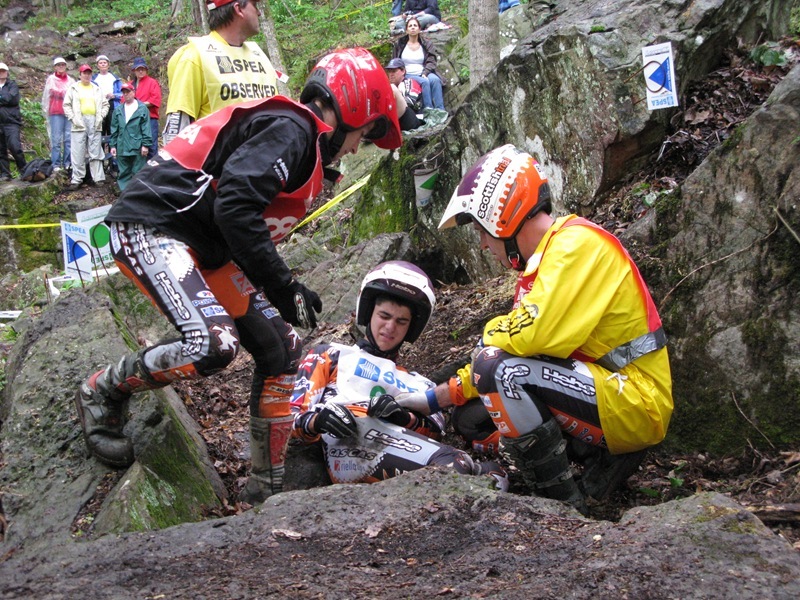 Luckily, the rider’s thigh hit the rock and he was able to walk in a few minutes. Center: Dr. Herbert J. 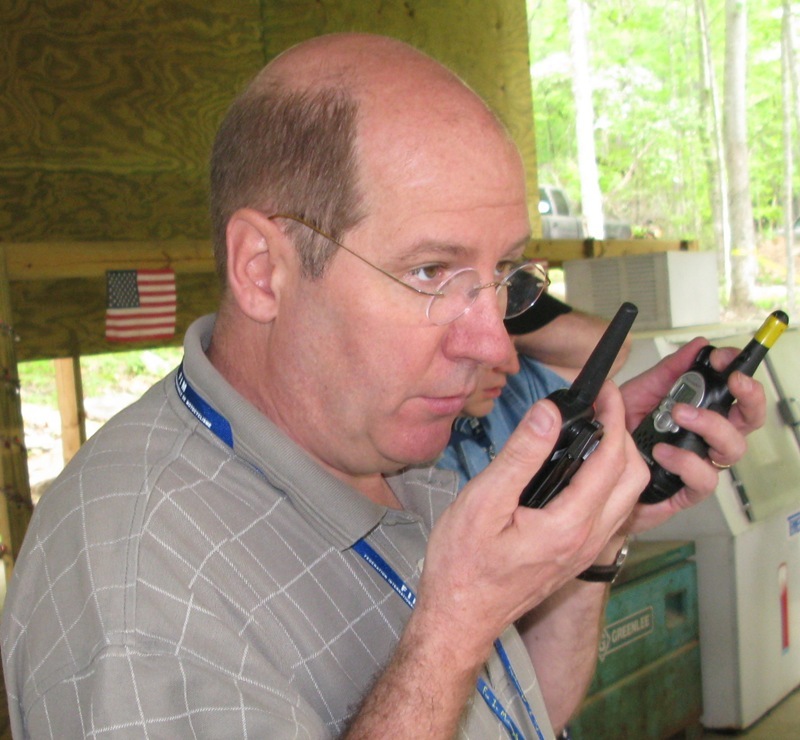 “Hub” Brennan, double checking the EMS radios on Saturday. Right: Jeff Salois, Carl “Coach” Swanson, and Hub Brennan as the prepared to depart the TTC lodge this morning.